Ed. 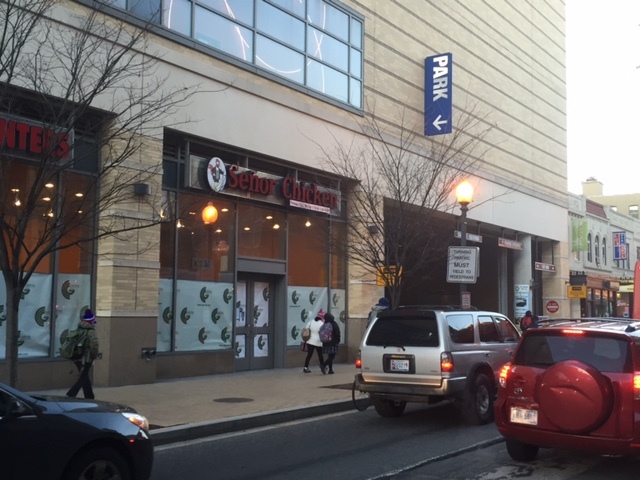 Note: This is the former Senor Chicken space that a commenter said was becoming a Ethiopian Restaurant back in January. “Arriving in the spring of 2016 at the corner of 14th Street and Park Road (3100 14th Street) is LeTena, a new, fast casual concept Ethiopian restaurant that will feature authentic Ethiopian dishes and a coffee house with barista. LeTena will serve a variety of healthy, locally sourced and freshly made dishes including various vegetarian dishes, tibs, stews, salads and other Ethiopian specialties. The restaurant will have 20 seats in the coffee area where baristas will serve a variety of specialty coffees and teas as well as pastries. Coming on Sundays this summer, the coffee house will feature a traditional Ethiopian coffee ceremony with coffee made from freshly roasted Ethiopian coffee beans. The 30 seat dining room is a comfortable spot to enjoy classic Ethiopian dishes served with injera in traditional fashion, or wrapped, with bread or rice for those who wish to use utensils. A children’s menu and other international dishes that are favorites in the region will also be available. The dining and coffee rooms are WiFi accessible.